Recently I have witnessed and experienced the effects of cyber-bullying, trolling, online vitriol and hate speak on a personal level. I have have watched some close friends get misrepresented, bad-mouthed, criticised, derided, smeared, intimidated and defamed online and in the National mainstream media. I have become caught up in this by association because I have chosen over the years to attend presentations and workshops to assist with my personal development, spiritual growth and self-healing. Because I have chosen to attend healing courses run by Universal Medicine my reputation, my good name and character and my professional integrity have been and are being dragged through the mud. I have been personally labelled a follower in the newspaper, told I am a member of a cult and become a victim of cyber-bullying, hate speak, trolling and online defamation. I have been accused of being part of a recruitment cartel for a cult and doing this under my professional status. These people do not know me and are making wild accusations and assumptions about me that are disturbing and designed to harm my professional status. All of these allegations could not be further from the truth and I am appalled and outraged that such lies, rumours and gossip mongering has been allowed to happen not only to me but to Universal Medicine and all those associated with them. There are web forums and blog sites actively targeting, defaming and attempting to discredit and ruin the reputation of myself, other health care professionals, doctors, dentists and businesses simply because people choose of their free will to attend workshops, listen to an audio presentation or read a book. These forums and sites are run by a small number of people who appear to be disgruntled with what Universal Medicine presents and the choices people are making to live more lovingly. These people (who I may or may not know) are acting as cowards and bullies hiding behind anonymity, fake names and pseudonyms because perhaps deep down they know what they are doing is immoral, outrageous and wrong. 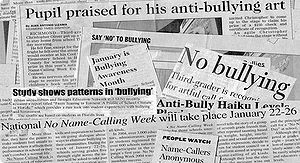 Cyber-bullies get away with it because the law and Government policy has not caught up to where society is at. They get away with it under the dark veil of not having to provide proper verification of their identity when setting up sites and thus are difficult to trace and bring to task. It is disgraceful that this style of bullying, name calling and wild accusations can and are allowed to happen; as if it were going on in a school or work place it simply would not be tolerated. There is something dramatically wrong with the policies and laws of this land when they are set up to protect an anonymous abuser over an upstanding, innocent, professional member of society. The status quo needs to change and quickly. So true Rachel. I too am a target of this campaign. The laws of this country need to be changed to protect people of all ages from these kinds of crimes. It’s time we all stand up and let our voices be heard. It definitely is time for the law and Government to catch up with where society and social media are at. It is ludicrous that behaviours seen as of criminal intent and illegal in the real world are allowed free reign without legal consequence in the virtual world. This anomaly needs to be dealt with as a matter of urgency!